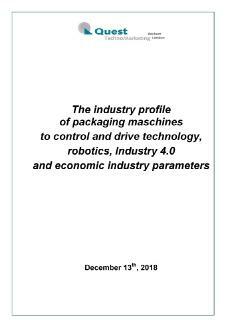 Production in the sector Robotics and Automation grew by 30% more strongly than that of machinery industry from 2014 to 2017. This positive development naturally influences the growth expectations of machine-builders in this sector. 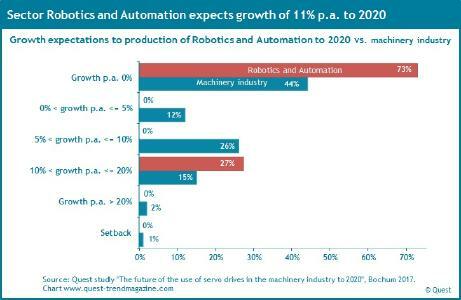 Manufacturers of robotics and automation expect their machine production to grow by 11% per year to 2020. This expectation is twice as high as in machinery industry. Growth in machinery industry is expected to reach 5.5% per year to 2020. 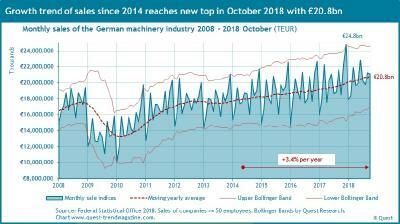 This is the result of a market survey conducted by Quest TechnoMarketing in the German mechanical engineering sector. The new industry report in Quest Trend Magazine divides the growth expectations into various growth ranges. A twofold division of growth expectations in the sector Robotics and Automation becomes apparent. Almost three-quarters of the interviewed machine-builders do not expect any growth in machine production to 2020. However, more than a quarter expects above-average growth between 10% and 20% per year. 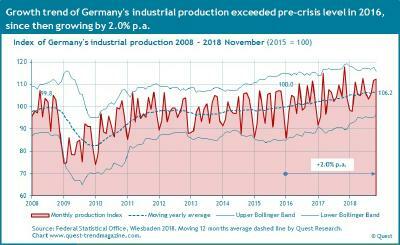 This division also reflects the uneven situation of global industrial production and the most important export markets. The Quest Trend Magazine has published further industry reports about printing and paper machines, conveyor, rubber/plastic machines, food processing machines, packaging machines and machine tools. These industry reports make it easier for machine-builders to classify their experience in long-term contexts and to determine their position. 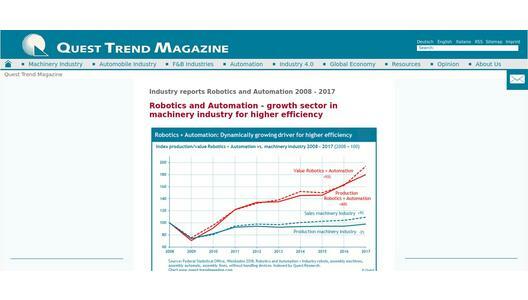 Quest Trend Magazine publishes trends in automation from the users's point of view mainly in machinery industry, automotive and F&B industry. The economic backdrop of these trends are highlighted as well. 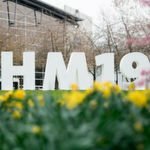 The trends are based on market surveys by Quest TechnoMarketing, Bochum, London, specialized in market surveys and marketing for the automation technology for more than 20 years and the publisher of the Quest Trend Magazine in English and German language. The economic backdrop is analyzed by Quest Research, a department of Quest TechnoMarketing.